I’ve never considered myself to be a collector, but I noticed recently that I collect unique earrings! 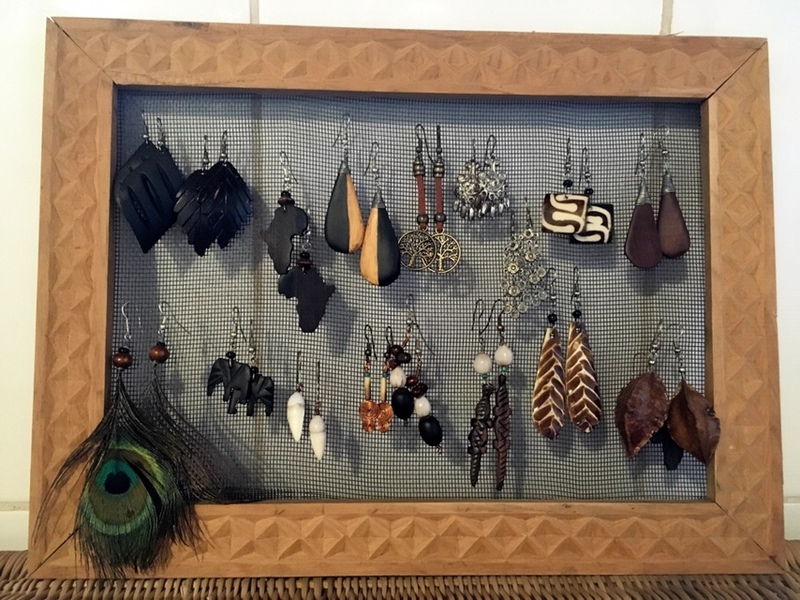 And so, I present: my earring collection! For Christmas the girls (with the help of a handy elf named “Dad”) made an earring frame for me. It’s a simple frame made of Mulanje cedar that holds a piece of window screen. It is perfect! My earring collection, both as unique pairs and especially as a whole, leave no doubt where I live. Elephants, baobab trees, crocodiles, and the shape of the African continent are shapes related to Malawi, but the materials are all local and unique as well: teak wood, ebony seeds, crocodile teeth, porcupine quills, bone, and coconut shell are some of my favorites. The only problem now is picking which pair to wear! This entry was posted in Amusing Things, Life in Africa, Local Favorite.